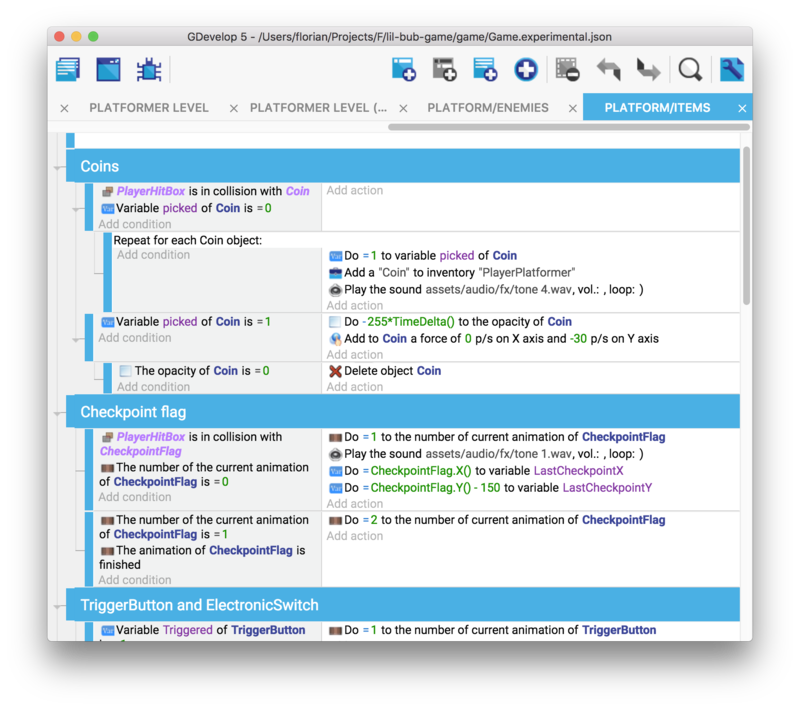 GDevelop is a free and open-source, cross-platform 2D game development tool designed to be used by anyone, with no prior programming knowledge required. 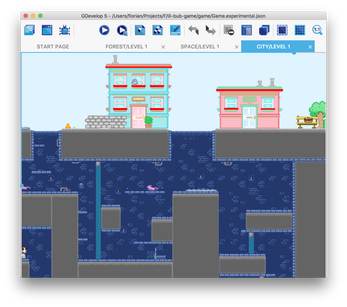 You can create any kind of game: platformers, puzzles, shoot 'em up, strategy, 8-bit games... GDevelop is general purpose and the game engine powerful enough for any 2D game. 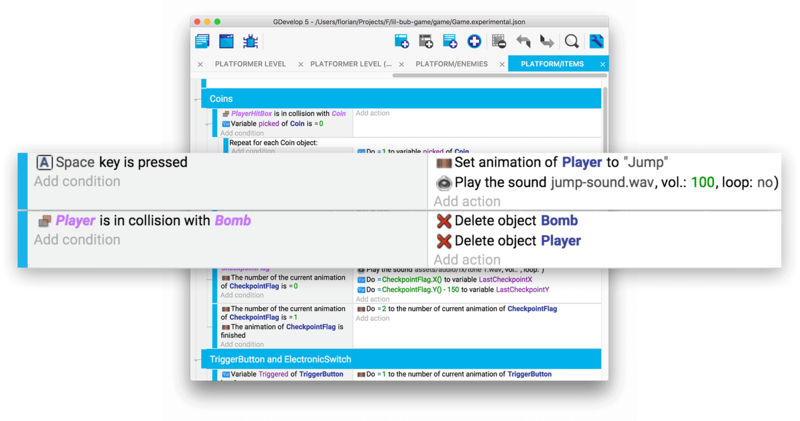 The Events system is a powerful way to express the logic of your game, without having to learn a programming language. Events are super easy to learn and are designed to be just as powerful and flexible like any programming or scripting language. Events support statements, conditional and logical operators, groups, links and loops such as For Each and Repeat... you can even create functions, to reuse and share your events across projects. 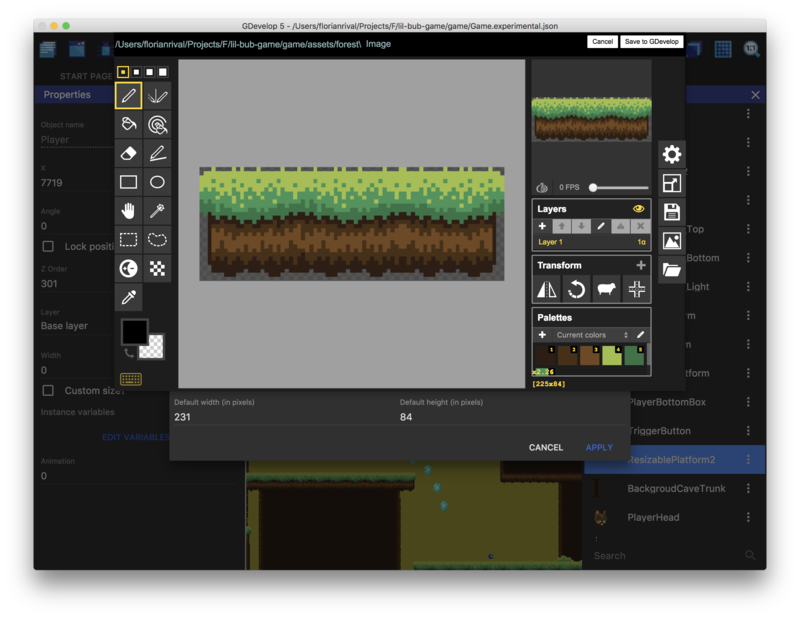 GDevelop is embedding third-party editors like Piskel for creating sprite and pixel-art assets, as well as a sound effect generator. It's ideal for fast prototyping in game jams or making 8bit games! 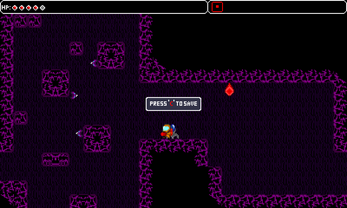 The editor comes up with an integrated Debugger to inspect your game while previewing it, a Profiler to measure performance and Preview over wifi to quickly test on mobile devices. GDevelop is open-source, MIT licensed. 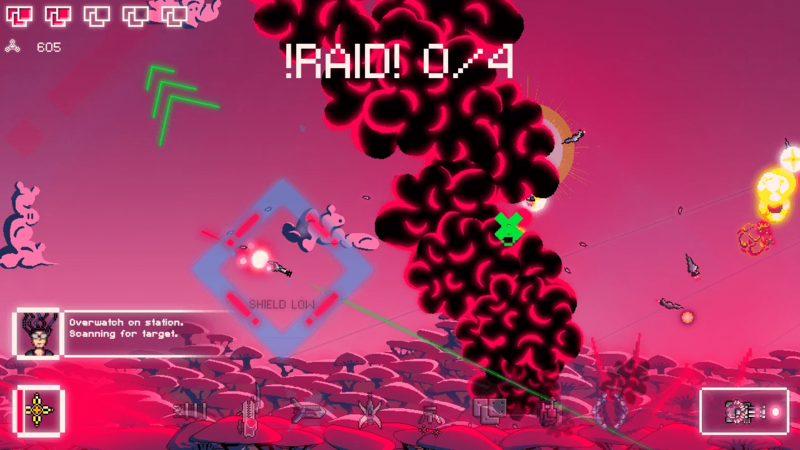 Games can be freely distributed without any royalties. The project is run on GitHub and based on innovative technologies. 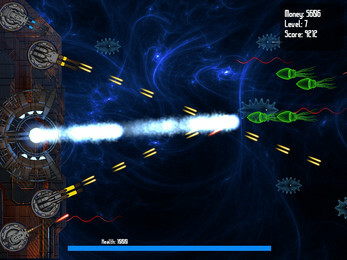 Extensions can be developed to enhance the game engine - all built-in features are provided by the extension system. Publish your games to the web (HTML5), iOS, Android, Windows, macOS, Linux and even Facebook Messenger. Games created with GDevelop run anywhere and you can do a one-click export to Android, Windows, macOS and Linux from the app. Learn step-by-step how to use GDevelop or get help about a specific feature: the wiki has tutorials and a complete documentation for the software. Tons of examples are also available and ready to be tried in one click. 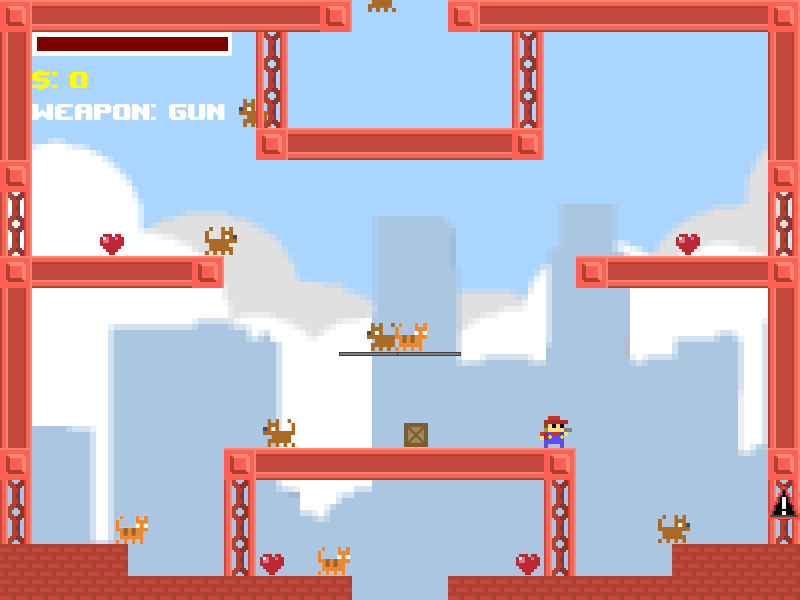 Tutorial to create a platformer game. Tutorial to create a simple tank shooter game. GDevelop has a community forum and a Discord to get help. Fantastic! Powerful and easy to use. 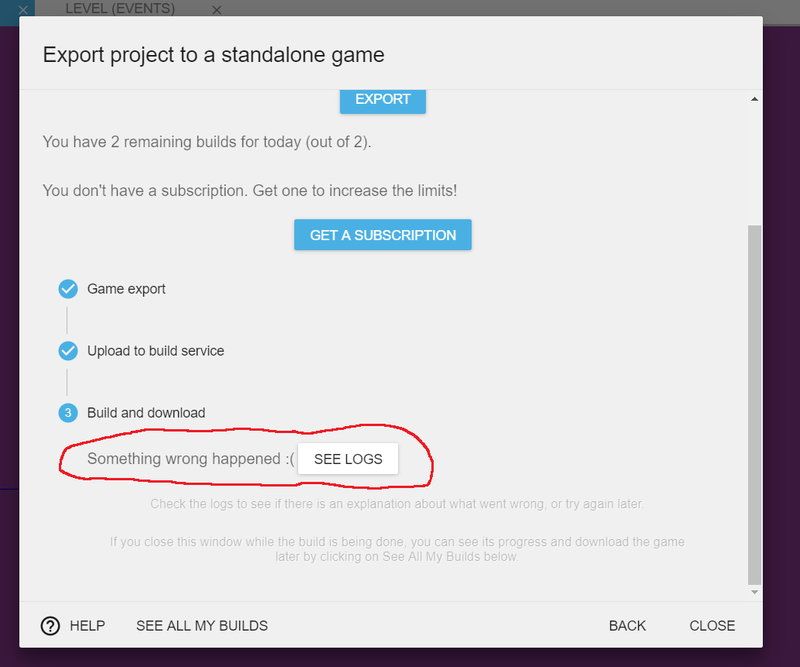 Is there currently any way to essentially "comment out"/disable an event or action, such as for troubleshooting a game? If not, this is something I'd find incredibly useful! The tool in itself is great, however I ran into an issue with the documentation: the tank shooter tutorial uses a "permanent" button when giving the bullets a force that keeps them moving, and said button is gone from the current version. Because of that, bullets stay where they are created when they should be moving in whatever direction they've been fired. A workaround (inspired by the platformer tutorial) is to set an object variable to some specific value when creating a bullet, then create another event to apply the force as long as said variable is set to that value. Which version are you using? You can check that by clicking on About GDevelop in the menu or in the start page. I can't export my game to windows exe. Please help. What about Gdevelop? It was love at first sight. When it comes to creating video games you always think about code all complicated things to understand especially if one is not a programmer. 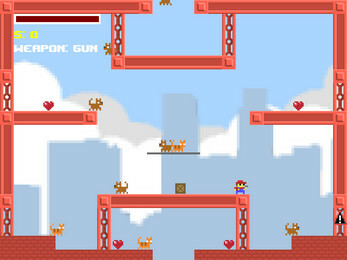 Gdevelop its potential is that it allows to create a game avoiding all the boring part of the code. Of course to customize the game is required of the code but the peculiarity of this program is its code integrated within the program that is divided into "actions " and "conditions " Of course there are within the program dozens of different commands to better customize the project. The program is supported by a very active community. 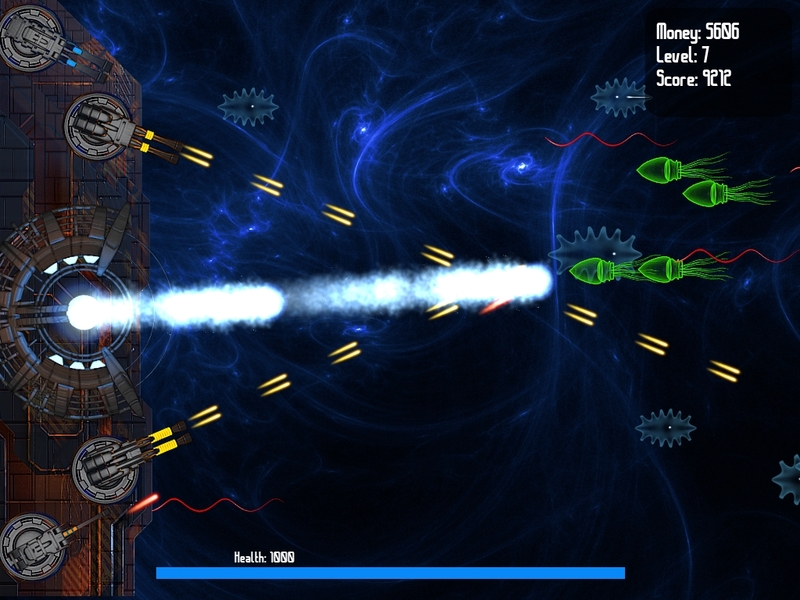 The most simply and logical 2d game engine out there! Easy to jump in and start to make a game. Very beginner friendly! Here's Tundmatu if you want to check it out! One of the most beginner friendly game development tool out there. Very easy to use, well documented, cross-platform, flexible and capable to support just about any kind of 2D game you want to make. I can recommend to anyone at any age, especially to ones who only getting started in the world of game making. Speaking of editors, gdevelop 5 can now be used to author the game sprites too- as piskel is now integrated into it. Animations with layers and a palette editor. 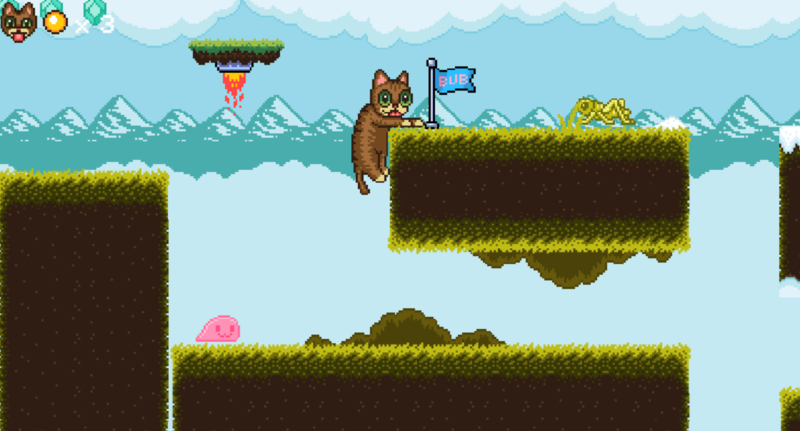 I don't think even Construct3 has support for frames AND Layers in its sprites editor. Gdevelop is going further with editors too- there is a sound effects editor included too- very similar to BFXR. A full music tracker is planned for inclusion soon- making Gd5 a complete dev environment - for the whole team. It is near of becoming a fantasy console without limitations! You can export your games to both mobile and desktop targets and sell them with no royalties required. 5 stars. Used it from years and always enjoyed the feedback and updates ! Real community behind ! The only limit is our imagination. 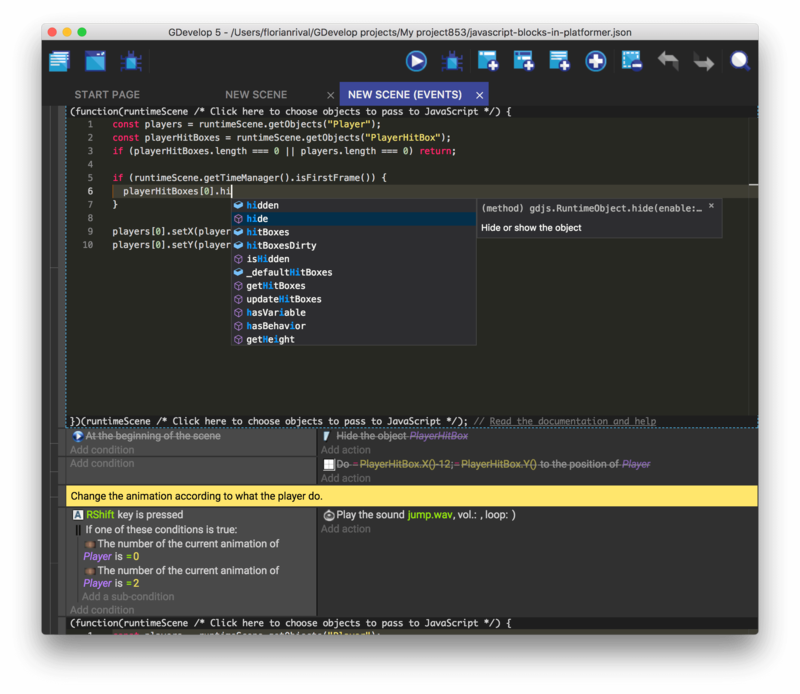 Awesome IDE, GD5 is online or native app, we can make games on multiples devices, easy and more cool that others soft like this IMO.